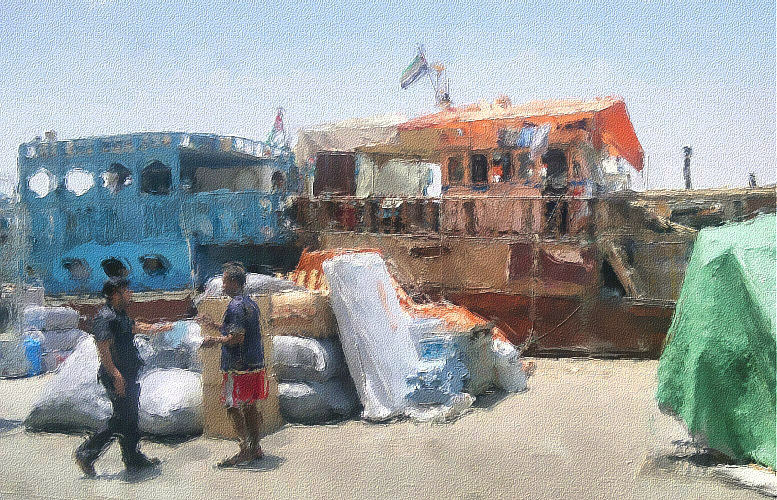 Another painting of dhows and cargo on the Dubai Creek. This painting is of a cart where the trader is selling these beautiful and colorful cloths. It is in front of the Gold Souk in the Dubai Mall. It is one of the bigger malls in the world and it is the biggest in the Middle East. I spent a whole day walking through the more than 1200 shops! What an experience! At the end of the day I could not walk anymore and had to drag myself to my daughter’s SUV, when she came to pick me up. 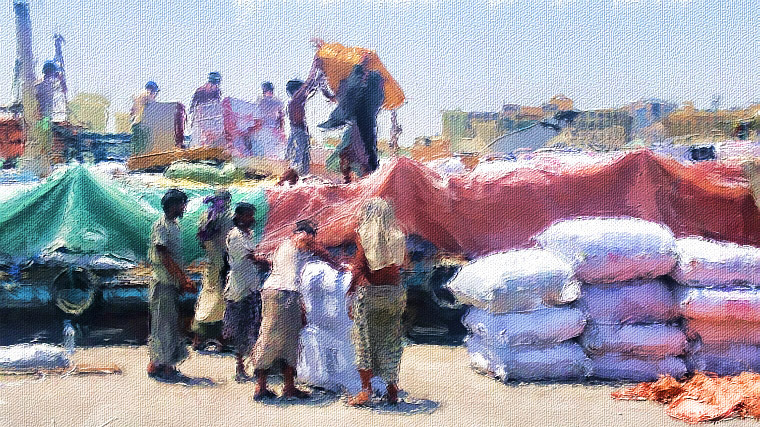 A painting of workers loading cargo onto the dhows on the Dubai Creek. This is in old Dubai close to the Spice Souk. We are back from our visit in Dubai, where it was indeed very hot and humid, but we enjoyed ourselves and saw so much. And enjoyed the time with our children and grandchildren.